"Bed bug picture collection shows all stages of the bedbug life cycle from egg, to nymph to adult. 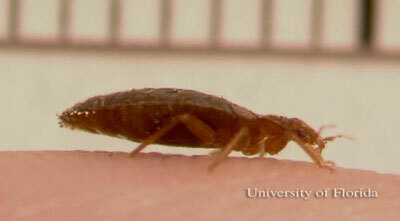 It takes approximately 4 months for a bed bug to move from egg to adult hood." Bed bugs move through 5 stages. They feed between each stage and cannot move forward until they feed. 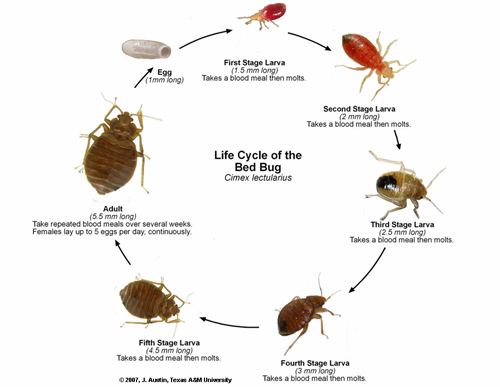 The diagram below depicts each bedbug life stage. It takes 4 months for a bedbug to move from egg to adult. 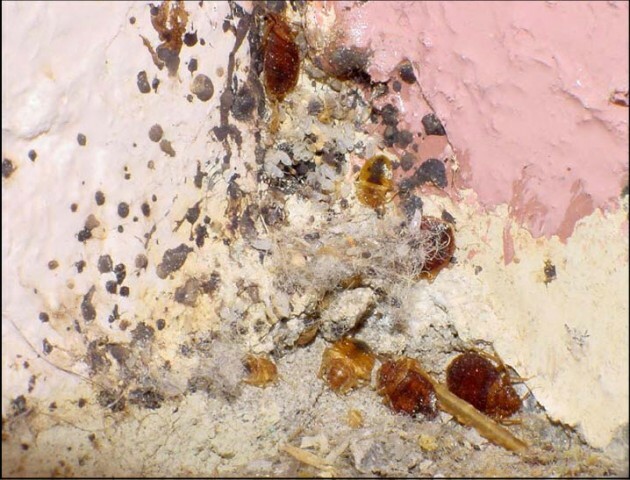 Bed bugs live approximately 10 months. Temparature plays a role in their development with maximum growth at 68 degrees. Bed bug eggs are small white specs that are the size of the head of a pin. A female bedbug will lay approximately 3 eggs every day. The eggs will hatch in 2 weeks. Eggs adhere to the placed where they are laid with a cement like substance. 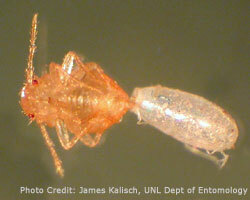 A bed bug nymph is the first stage of development after hatching. A nymph is light brown/straw colored and about the size of a small seed. 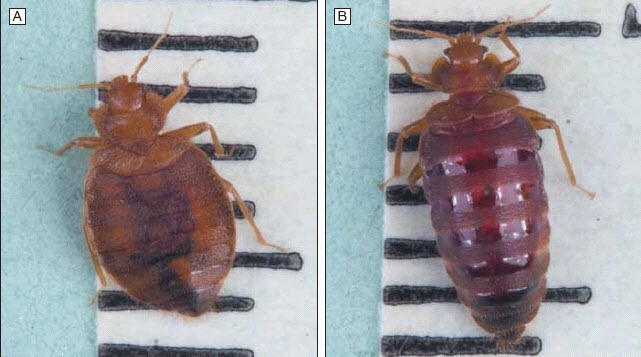 Adult bed bugs vary in size depending on if they just fed. Adults are a dark reddish brownish color. A bed bug before feeding is 1/4 inch. Bed bugs are flat in appearance.